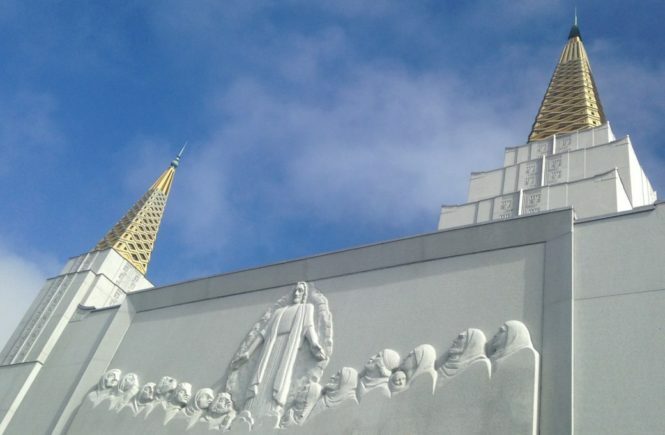 As an active Latter-day Saint, going to the temple is something that I try to do more frequently than not. Usually it’s about once a month or every other month. For some people, that’s a lot, while for others, that might seem pathetic. But that’s the thing about the temple. Attending is something that we are not specifically commanded to do a certain amount of times. Yes, we are instructed to try our best to go to church each Sunday and take the Sacrament, read our scriptures daily if possible, etc., but the temple is one that is left up to our own judgment. And it makes sense, right? Some people have access to multiple temples within a thirty minute radius of their home (I’m looking at you, Utah Valley) while others in more remote parts of the world save for months or years to be able to travel to go to the temple once in their entire lives. It wouldn’t be fair for a mandate to be given as to how frequently a “righteous” LDS person should attend the temple. Without getting into specifics because of the sacred nature of the temple and what goes on inside, I will just say that for me and probably for other Mormons with OCD, temple attendance (like church attendance) can sometimes be difficult. Personally, I have psyched myself out just thinking about going to the temple. The stress starts getting to me. First, there is the whole having to get a babysitter if both my husband and I want to go. Then I often start feeling like I’m getting sick and I think, “Oh, I can’t go to the temple if I’m getting sick. I would get everyone else sick. I should stay home.” One time I turned my car around as I was on the way up to the Oakland Temple because I was worried about being sick (I think I really did have a bad cold, though, so there you go). Speaking of the Oakland Temple, sometimes just the thought of driving to the temple is enough to trigger OCD: the traffic, the cars, the amount of time it takes… and when you start thinking of all that, you sometimes start feeling guilty because of the people who have to take buses or boats or airplanes to get to the closest temple… And that makes you feel like a jerk who is complaining about an hour of bumper to bumper traffic. Poor baby. With this stress and guilt complex, you occasionally end up arriving at the temple in a sour mood. This isn’t ideal, of course. Or maybe you are rushed because you got there a little later than you should have, and you feel badly that you have to make a mad dash to get changed into your temple clothes in order to make it in time for your session. Rush rush rush. It’s kind of the antithesis of what you should be feeling in the temple. As far as doing actual temple work, well, there are a lot of little things that an OCD person can find to be worried about messing up, forgetting, or fretting over. Triggers can be found even within the temple—for instance, my good friend who has dealt with emetophobia (condensed definition: fear of vomit) was almost puked on in the changing room on her wedding day, while she was in her wedding dress. I mean, for real? So, for all of these reasons, temple attendance is not always the peaceful, wonderful experience that I’m sure it is meant to be. Maybe if I didn’t have obsessive compulsive disorder I would find it to be more so, but it’s just another challenge I have to work through. Or live with. Or both. How do you make temple attendance a positive experience? What struggles do you have with OCD and going to the temple? You are one tough cookie. Just to think about all you think about makes me exhausted. I believe in my mind that I have learned or adapted or given up on obsessing about certain things as a matter of mental survival. Sure I feel guilty or depressed when faced with the things I’ve “given up” on, but I think I tell myself that I haven’t totally given up and that I’m doing my best. I don’t know.